This method differs from other methods of treating skin cancer by the use of microscopic examination of all the tissue removed surgically as well as detailed mapping techniques to allow the surgeon to remove only areas involved with cancer to ensure complete removal. 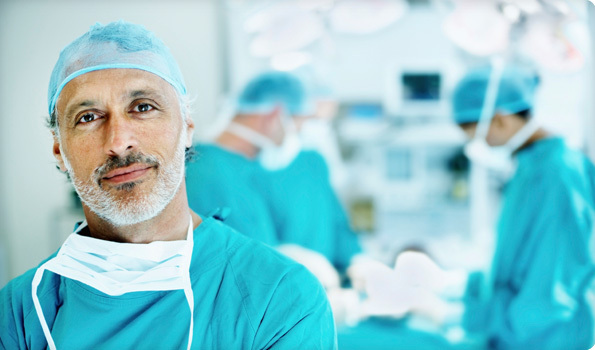 The doctor serves as the surgeon, pathologist, and reconstructive surgeon. Our fellowship trained Mohs surgeon, Carl Washington, MD, performs the surgery at all 4 office locations. At Emory, and at Dermatology Associates of Georgia, Dr. Washington’s clinical expertise is in Mohs Surgery for the management of skin cancer, and the treatment of patients with melanoma and high risk pigmented lesions. Dr. Washington also treats a variety of other dermatologic surgical and cosmetic conditions. What are the advantages of Mohs? Avoid aspirin, over the counter pain medications (such as Ibuprofen, Aleve, Advil, etc), vitamin E, or herbal supplements for 7-10 days prior to the surgery. These medicines thin the blood and increase the risk of bleeding complications. Tylenol (acetaminophen) is OK to take before the surgery. If you are taking blood thinners (such as Coumadin or Plavix), we ask that you stop these medicines for 3 days prior to surgery, but check with the prescribing physician first. Continue all other prescribed medications, unless instructed otherwise, and take your medications as you normally do on the morning of surgery. – Avoid alcoholic beverages for 24 hours prior to surgery, as they can increase bleeding. Stop smoking as smoking will increase the risk of complications from surgery and interfere with normal wound healing. – Be well rested with a good night’s sleep. Eat a good breakfast/lunch on the day of the surgery, as you may be in the office for several hours. – Please do not wear make-up, jewelry or nail polish, if it will cover the surgical site. Woman with an affected area anywhere on the face, ear or neck should not wear make-up. – Transportation: You usually can drive yourself home after the surgery, but sometimes a driver is needed if the surgery is around the eye. When you arrive for surgery, you will check in at the front desk and then be called back to the surgery room by the assistant. Written consent for the procedure will be obtained and photos will be taken. Dr. Washington will discuss the procedure and answer any last minute questions. The area to be treated will be cleansed with a sterile antibacterial solution and then anesthetized (numbed) with local injection. The tissue will be removed, photos will be taken, and a bandage placed on the wound. You will be asked to wait in the waiting room while the tissue is prepared in the lab and examined under the microscope. This may take 45-60 minutes or longer. If microscopic examination reveals additional tumor that must be removed, then the doctor will take another layer of tissue and check it again. This may happen for several layers. After the cancer is completely removed, a decision will be made on the best reconstructive method for repairing the wound created by surgery. These methods include letting the wound heal by itself, closing the wound side by side fashion with stitches, and repairing the wound with a skin graft or skin flap. The best method is usually determined on an individual basis after removal of the cancer. Once the reconstruction is completed, a pressure dressing is applied. Aftercare instructions will be explained and a written copy given to you. The length of surgery varies depending the size and location of the tumor and type of reconstruction preformed. Although the average length of time is approximately 3-4 hours, you should plan on being there most of the day. Your surgical wound will likely require wound care during the week(s) following surgery. Detailed written instructions will be provided. You should plan on wearing a dressing over the surgery site and avoid strenuous activities for about 1 week. Most patients report minimal pain which usually responds to Tylenol. You may experience tightness and numbness across the area of surgery which may take months to return to normal. You may also experience itching after your wound is healed. Redness, swelling, and bruising are common occurrences after surgery. Usually a return visit in 1-2 weeks is necessary to examine the surgical site and to remove the stitches. As with any surgery, scarring will occur. Mohs surgery offers the benefit of preserving normal skin, thus minimizing the amount of scarring. Complete healing of the surgical scar may take 12 to 18 months. Especially during the first few months, the site may feel “thick”, swollen, or lumpy, and there may be some redness. Gentle massage of the area starting about one month after surgery may speed the healing process. Should you have any questions or concerns prior to or after surgery or after, please call the office. We would be happy to assist you. To learn more about Mohs Micrographic Surgery, visit www.SkinCancerMohsSurgery.org.